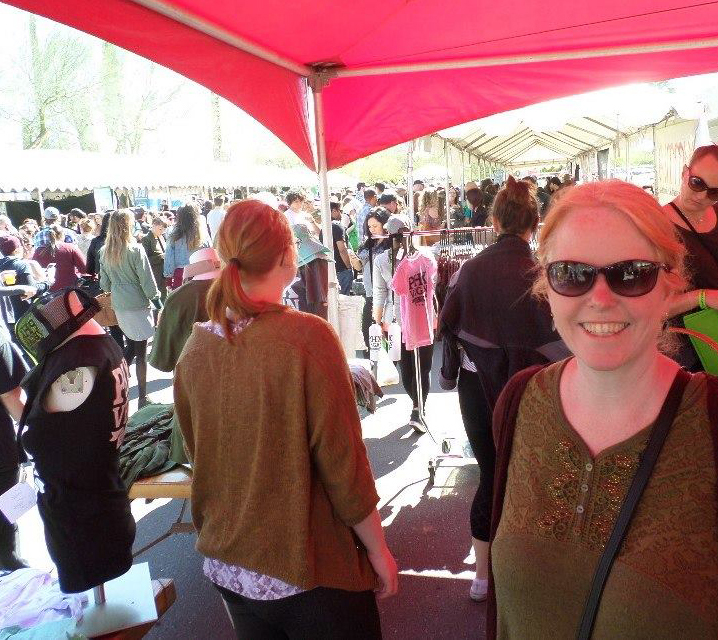 On Saturday we headed out to the Vegan Food Festival down the street. It was strange as a vegetarian to go somewhere that we could literally eat anything at any food seller. Naomi was quite happy as well, as she's our resident vegan. The festival was packed with people. When we arrived, about an hour after it started, most places were out their free samples. Fortunately it was a beautiful day. On the walk home we found an amazing park with this statue of jumping children. I was amazed that they were off the ground. It's almost a floating statue (just one or 2 of the kids are touching) and it creates an amazing illusion. Naomi and I in the park on the way home. As you can see I tried something new with this post, using Facebook images. I'm not sure if it's better. The Lion King job has finally ended and now I'm on to the next. My new job is for a production of Coraline, to be performed by a ballet company in London. I'm making black rat head dresses with red crystal eyes for the dancers to wear. It's a tight deadline so March is bound to fly by!